I missed the 4B35 to Moreton on Lugg, which failed to stop at Hullavington and went from being late at Swindon to running early past Chipping Sodbury. 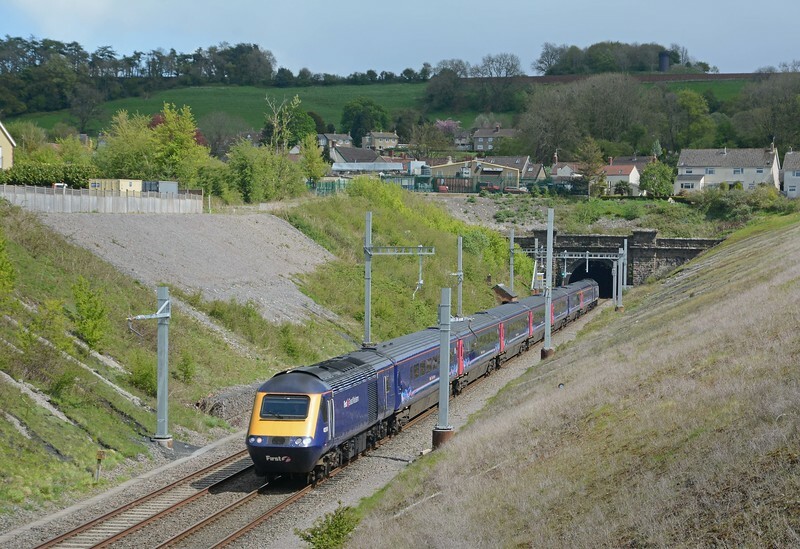 This 2+7 HST set is on the 12:45 Paddington to Swansea. Despite the ongoing construction and erection of OHLE equipment this remains a decent spot. Of course once the wire is strung that may, probably will, change.